As an Influencer, you know the value of rapport and reputation, and also of staying present and top-of-mind in your community. You’ve built a successful brand and engaged following on being a consistent source of information and inspiration, and you have the unique honor of literally influencing: your fans eagerly track your ideas, experiments, and general happenings for both entertainment and guidance. The Amazon Influencers Program launched with the goal of supporting creators like you, who work hard to keep their audiences updated on their current projects and new favorite finds — including their top product and promo picks on Amazon. We’ve streamlined sharing for creators, and shopping for followers. And now, we’re making the whole experience even better. Introducing, Verified Profiles! 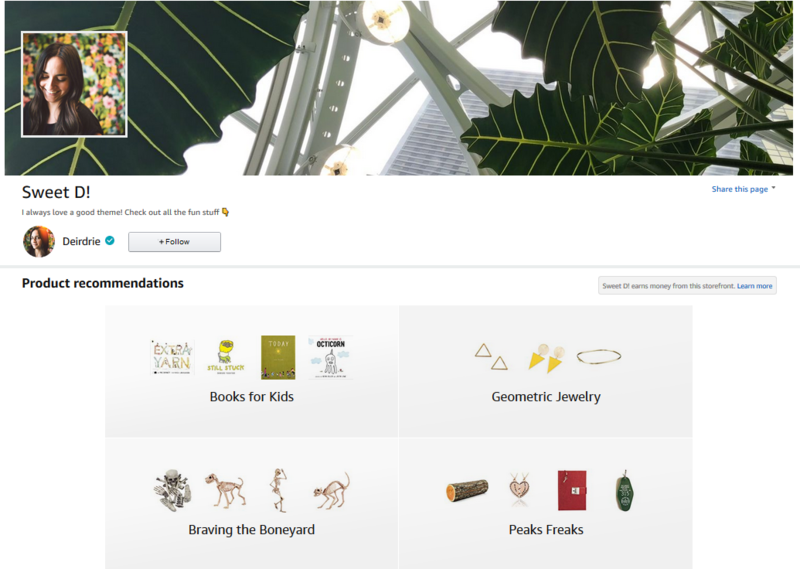 Verified Profiles are Amazon pages that capture your social identity, including a public name, a short bio, social media links, and recent content and updates published across Amazon’s social experiences. This content includes reviews, questions, answers, Idea Lists, Spark stories, and a tile that links to your Influencer store. Your profile is about YOU! What are the benefits of being verified? As a verified Influencer, you get a blue checkmark next to your name. This signals to customers that you are someone with a meaningful following whose opinions are valued by Amazon and others. Additionally, once you’re verified, your fans can follow you on Amazon! As a supplement to all the other great work you’re doing, these features help boost your authority and reputation, as well as offer a hands-off way of keeping your community updated on your Amazon activity. What does the "Follow" feature entail? When a shopper follows you on Amazon, they’ll receive updates via email and push notifications whenever you contribute new content on the site — a product review, a new Idea List, etc. When someone clicks through from one of these emails or push notifications, you receive attribution and will participate in any purchases they make. Shoppers can find your profile by: 1) clicking on the profile link located on your store page; 2) clicking on the avatar image on your onsite contributions; and 3) people search. All Influencers are automatically verified as a part of being approved for the program. 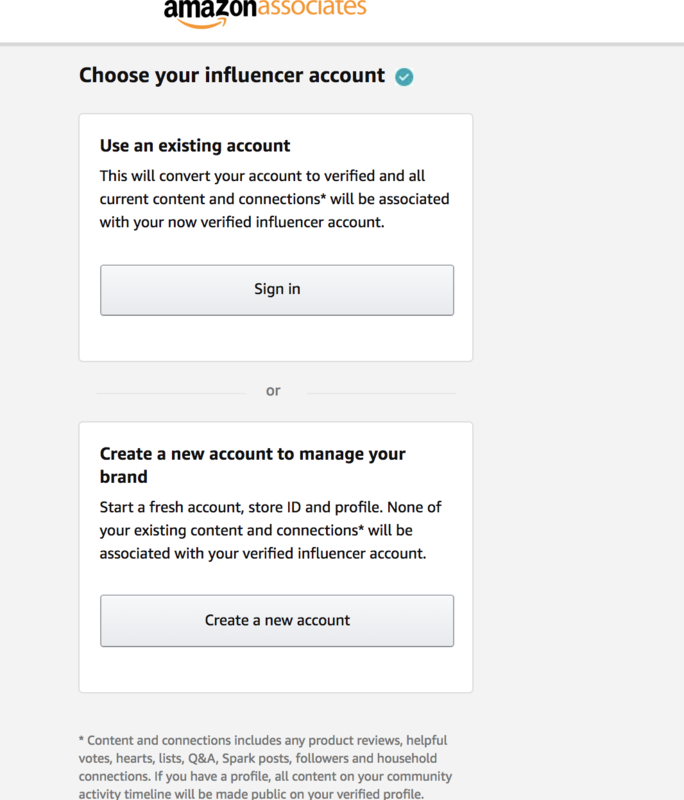 New Influencers are verified as a part of the sign up process. However, if you signed up for the program prior to July 1st, 2018, you can verify yourself when you are on the owner view of your storefront (your owner view is your amazon.com/shop page when you are logged in with the account you use to manage your Influencer business). You are given the option to verify your current account or to create a new profile if you wish to manage your influencer account separately. Tell your fans to follow you on Amazon! This way, when you’re active on Amazon.com — including adding new recommendations to your storefront — they are alerted and can continue to be inspired to shop by you! We’re continuously working to include even more tools and features in the Influencer Program, and hope a Verified Profile translates to your increased affiliate success. More new resources coming soon!